I wanted to look at a new style for the title screen and ‘death intermissions’. Ultimately this style has been rejected but it’s always worth sharing them for posterity! Here is a short video run through of our game Akari. 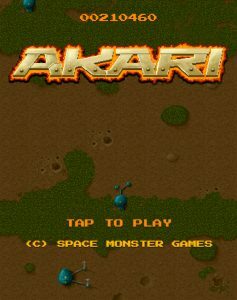 Akari was only ever a working title but we’ve since warmed to it a great deal. So it’s stuck! All game elements are in place. Much of the remainder of the work is in artwork, level design and exploring indexedDB for saving progress and scores. 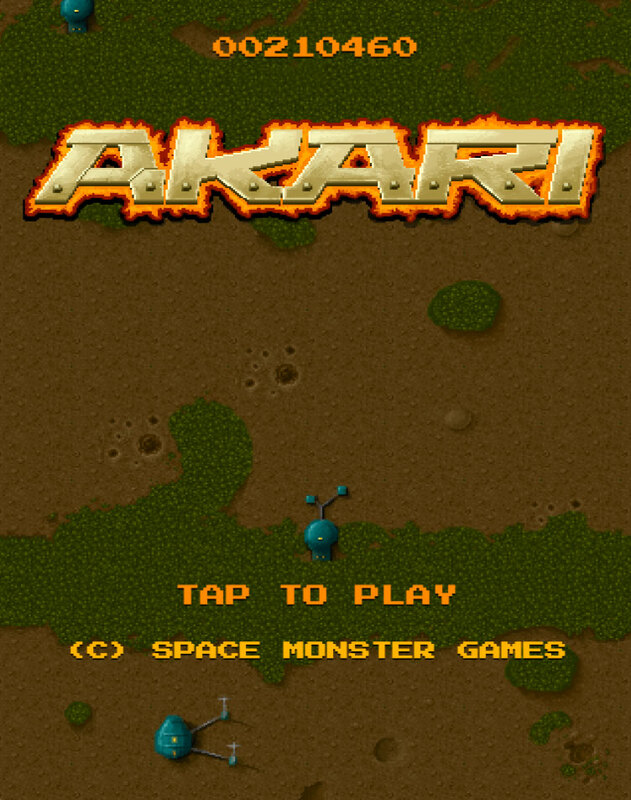 Akari is a game that we’re currently thrilled to be developing here at Space Monster Games. 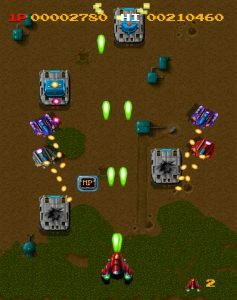 It takes its lead from classic early 1990s shoot em ups such as Raiden and Outzone. Though the visual style is developing nicely we’re still hard at work creating some cool graphics and effects to keep you entertained for many, many levels. More about the young hero of the game, Akari, and her backstory will follow in future posts. We hope you enjoy the video. I installed the Camtasia Studio over the weekend and captured a few short videos of my development projects. I couldn’t resist sharing the video for Road Rage as it captures everything I ever wanted in a game: colour, chaos, rich audio and a ton of explosions. Yup, I have an explosion fetish! The more the better. The louder the bang the better. In fact the more intense the on-screen action the better. Following on from the previous post about creating a crude Star Wars style trench as viewed from above I thought I’d post a video of it in action. I put some additional work in to throwing some aliens around and having the player’s ship move freely. I resisted the urge to have the ship tilt like a fighter plane as it banked. The game just doesn’t need it. Additionally I threw in some bonus / power-up spawns which are triggered by predefined alien attack groups. In the final game these groups will become visibly noticeable. Apologies for the hopelessly low quality of this video but I wanted to put up a video capture of my play testing River Raider. This game is my HTML5 take on the classic Activision game River Raid. I hope you can get a feel for it. Sadly the detail in the graphics is lost and isn’t something I could find to configure within the software that I used. HTML5 Gaming – what are we talking about? – HTML5 Game Development on HTML5 gaming – what are we talking about?